Pre-Order Next Shipment Available Dec 1! Did you miss out on the first shipment of our new Be Your Own #RelationshipGoals Journals? The journals are now in stock! Be Your Own #Relationship Goals - Available Now! Social media has a way of emphasizing the polished versions of our lives, without the full details of the final product presented. Well, don't believe the hype. Jeffery and Jennifer Lucy Tyler know all too well what carrying the weight of public ministry and private marriage entails. Seven years of marriage, a full-time ministry and entrepreneurship, thriving non-profit organization and a booming following, all sound like #relationshipgoals. But the truth is, as beautiful a couple you may see, there are some battle wounds wounds behind their picture perfect smile. Developing an interactive journal from the culture they have created in their own marriage, Jeffrey and Jennifer challenge married and engaged couples to focus on what's really important. 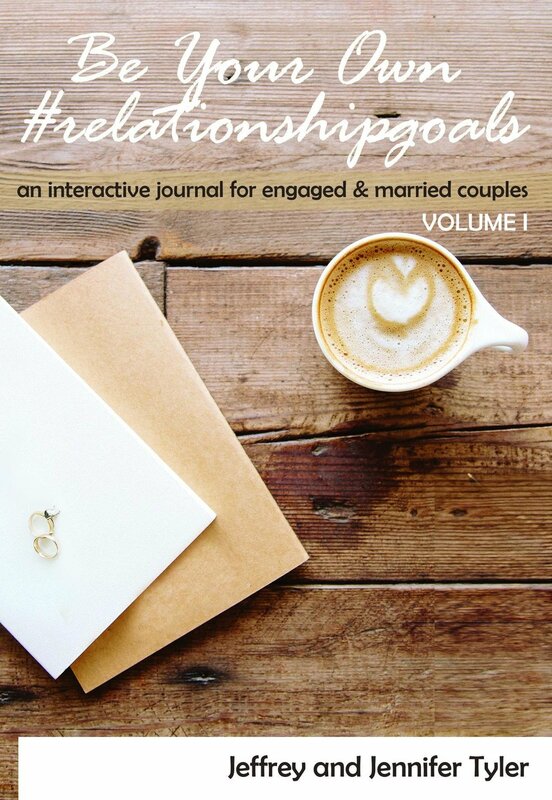 Be Your Own #RelationshipGoals is a practical journal for those seeking to deepen their relationship with God and each other through inviting questions, focused prayers, goal setting, fun activities and so much more! Once done, you will have a record of tangible ways you have worked through your own #RelationshipGoals!